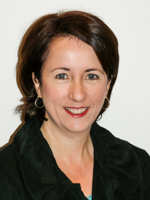 Jacki has worked as a developmental paediatrician for nearly 20 years in Disability Specialist Unit, Sydney. 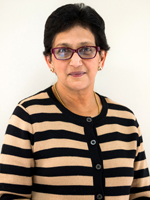 She holds other professional roles including Chair, Paediatric Policy and Advocacy Committee, RACP, and Chair Access and Equity Committee, ACI Intellectual Disability Network. She is passionate about working collaboratively to improve health of people with ID. AADDM is in a strong position to bring together experts from across medical and other health disciplines. 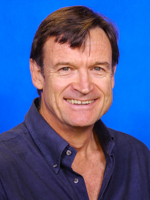 Julian is Chair of Intellectual Disability Mental Health and Head of the Department of Developmental Disability Neuropsychiatry at UNSW Australia. 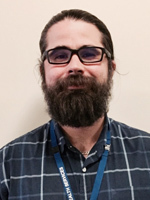 He is also a Clinical Academic within the South Eastern Sydney Local Health District, where he provides a tertiary complex mental health needs clinic for people with intellectual and developmental disorders. He leads intellectual disability mental health research, teaching and capacity building, and engages in health advocacy. 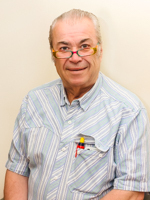 Julian believes that AADDM has a critical role in building the capacity of medical professionals and services to better meet the health needs of people with intellectual and developmental disabilities. Cathy is Consultant Psychiatrist and Senior Research Fellow, Queensland Centre for Intellectual and Developmental Disability, Mater Research Institute – University of Queensland, South Brisbane. She has been involved in clinical work, education and research in the area since 2004. Cathy sees the strength of AADDM in its ability to bring together a variety of medical professionals in order to better address the diverse health needs of people with intellectual and developmental disability. Christel is a medical consultant for Disability Services, Women’s and Children’s Health Network, Adelaide South Australia. 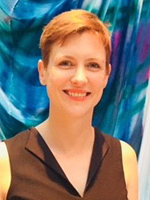 Christel obtained her medical degree in 2004 and Fellowship of The Royal Australian College of General Practice in 2007. 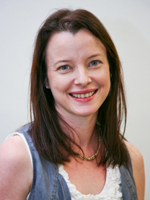 Christel has a diploma in Child Health from the Women’s and Children’s Hospital Adelaide. Christel worked as a Medical Educator for seven years. 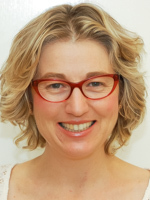 Christel is an examiner for the Royal Australian College of General Practitioners and has been involved in undergraduate, post graduate and overseas trained doctor medical education and assessment. Christel has been involved in research related to Down Syndrome. Christel lives in Adelaide South Australia. Matt is a GP in Paddington Brisbane who also works part time at the Queensland Centre for Intellectual and Developmental Disability. In a prior life I have a Bachelor of Music majoring in classical trumpet as well as a Radiography degree prior to starting medical studies. I have an interest in teaching and looking to expand this role as well as my clinical work in this field to improve health and well being not only of patients but their carers and families. Seeta is a medical clinician and Director of two multidisciplinary health clinics for people with intellectual disability. She is a Lecturer in Developmental Disabilities, Centre for Disability Studies, Sydney Medical School, University of Sydney. Seeta teaches medical, dental and pharmacy students and coordinates a unit of study in a Masters Program in Health Science (Developmental Disability). She sees AADDM as having an important role in education and advocacy to improve the health of people with intellectual disability. As the father of a 35 year old woman with an intellectual disability, John brings a personal understanding to his work as a GP in Adelaide where he has worked for nearly 40 years. 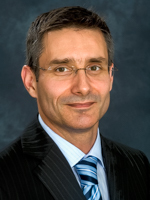 He also works at the Centre for Disability Health, Modbury Hospital, was a long term state and federal member of the Minister’s Advisory Council on Disability and member of boards of NGOs, and the SA Council for Intellectual Disability. 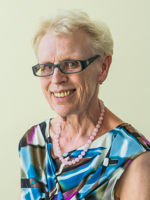 Margaret is a Specialist General Practitioner (Developmental Disability) and works in multidisciplinary teams at the Centre for Disability Health, and My Therapy House. She is also Lecturer in Disability, Flinders University. Margaret considers that AADDM’s key roles include: providing a forum for GPs, Specialists & Associate Members to network, hear what is happening in the disability field, provide a sounding board for clinical issues, and lobby on behalf of people with developmental disability. Nick is Director of the University of Queensland’s Centre for Intellectual & Developmental Disability and immediate past President of AADDM. He is a researcher, educator, advocate & medical clinician. During his career he has tried to empower people with intellectual and those that support them to improve their health and quality of life. Nick sees that AADDM will continue to drive changes to our health and disability policy and practices to improve the health and healthcare of people with intellectual disability across Australia. Helen is a medically trained epidemiologist and Principal Research Fellow at the Telethon Kids Institute, Perth, Western Australia. She has led the development of infrastructures to understand determinants and improve the health and quality of life of those with developmental disability and their families, and has independently established a vibrant multidisciplinary research group in childhood disability. 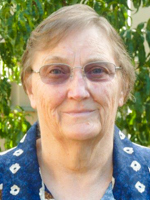 She believes AADDM should act as an important vehicle for research translation. 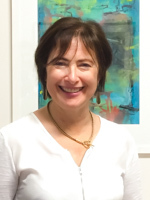 Dr Elizabeth Thompson is an adult rehabilitation medicine specialist with a strong interest in improving healthcare provision to people with an intellectual disability. Liz’s mother was a special education teacher and Liz worked as a disability support worker with adults and children whilst completing her medical degree. She currently works in general rehabilitation roles in the public and private sector, as well as with predominantly intellectually disabled clients at the Northern Intellectual Disability health service and SAL consulting, Sydney. She sees AADDM as an opportunity to advocate for improved person centred healthcare.